I love the saying, "Not all those who wander are lost," and here it is on a beautiful hot pink gradient tank! It's flowy and has the perfect arm holes. I thought the fact that the tank ended in white was a good segue into my white distressed high waisted jeans. 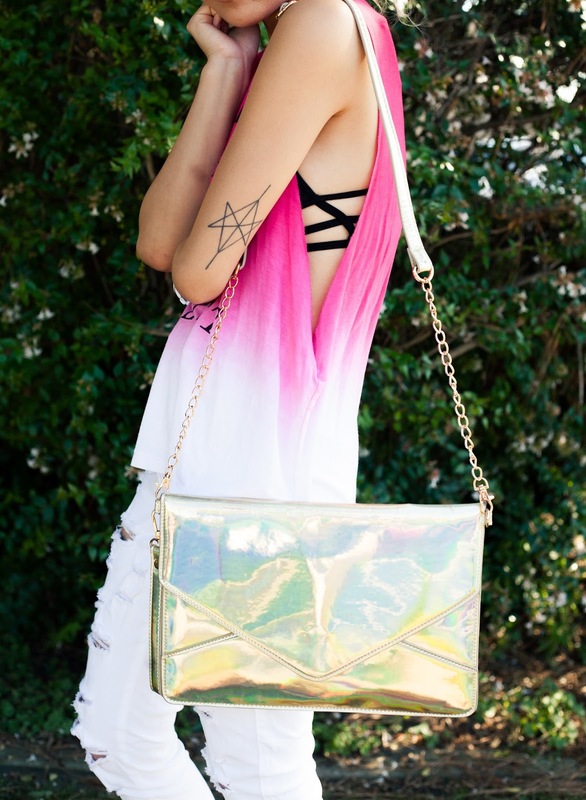 I'm also wearing my much-loved holographic envelope clutch from Karmaloop again; it's perfect beyond words. Also from Karmaloop are these gold tribal earrings. The design is half on the front part of the earring and half on the back, so it connects through your ear. So cool! 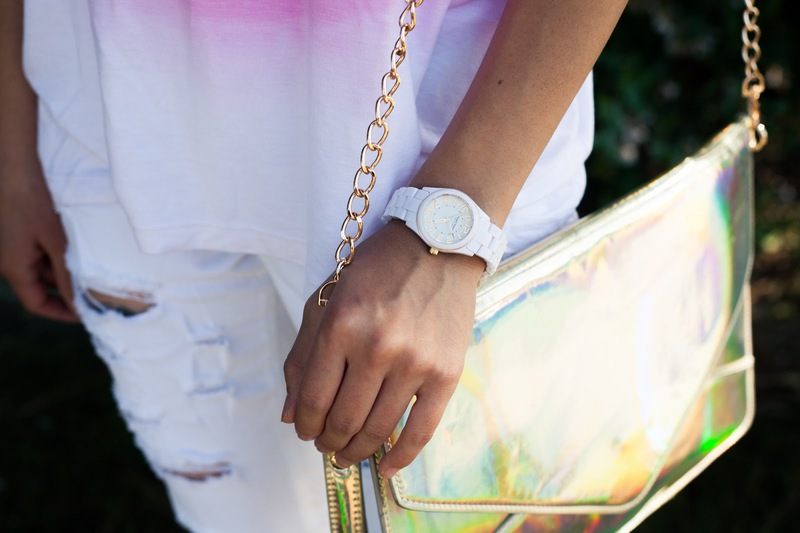 Of course I'd never miss a chance to create another almost all-white outfit, so I topped it off with white shoes, white sunglasses, and a white watch. The shoes are from a wholesale site, Wholesale7. It almost pains me to give away this site (just being honest here!) because it was my secret weapon for so long! They have crazy cheap EVERYTHING and you don't have to purchase a minimum of $200 or whatever like other sites make you do, although it's super easy to get carried away and fill up your basket with like $500 worth of stuff because everything is soooo cheap. In any case, it is such an honor being sponsored by them.